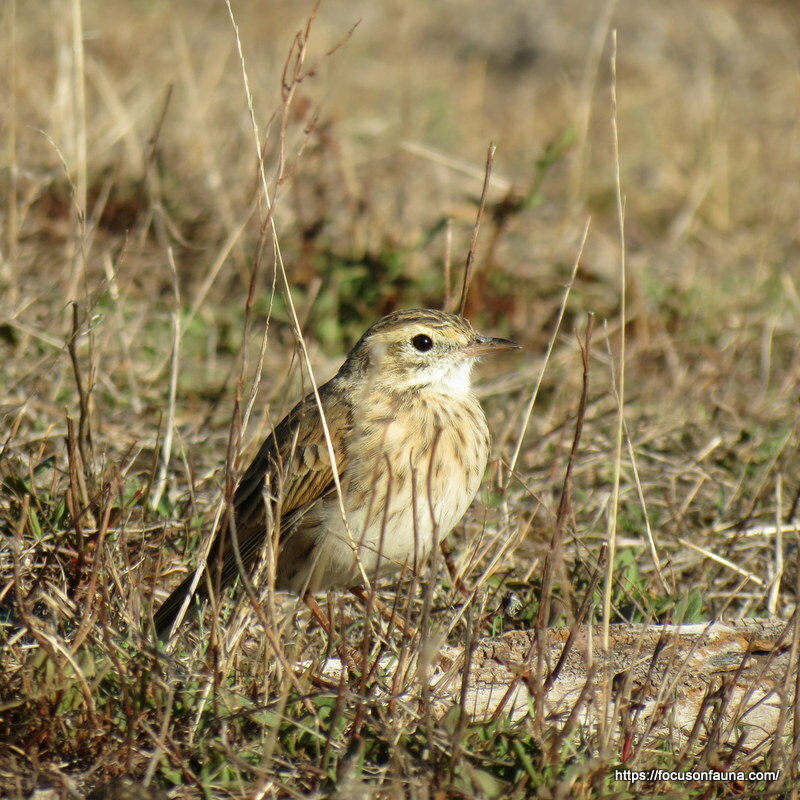 There are certain birds that, although common and widespread, often seem to be overlooked. A couple of these have recently been encountered on our Strath Creek property. 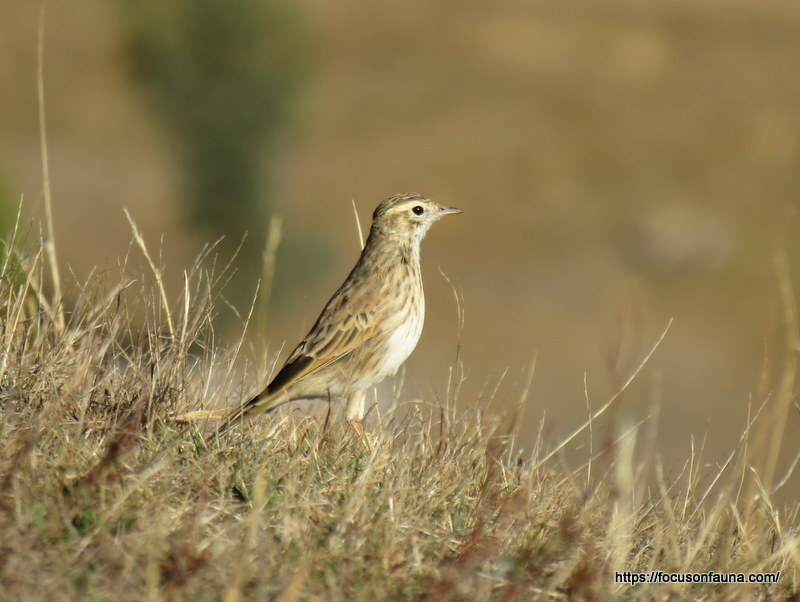 The first is the Australasian Pipit, a well camouflaged ground-dweller that darts about in bursts in pastures, grasslands and open woodlands, feeding on insects and occasionally seeds. It often perches on logs, rocks or fences and wags its tail up and down on landing, but can be quite unobtrusive even in close-cropped paddocks. It feeds, sleeps and nests on the ground so needs to be alert to avoid predators like foxes and raptors. The pictured bird was one of four we came across on our back hill. They were remarkably unconcerned by our close presence which allowed for some clear photos. 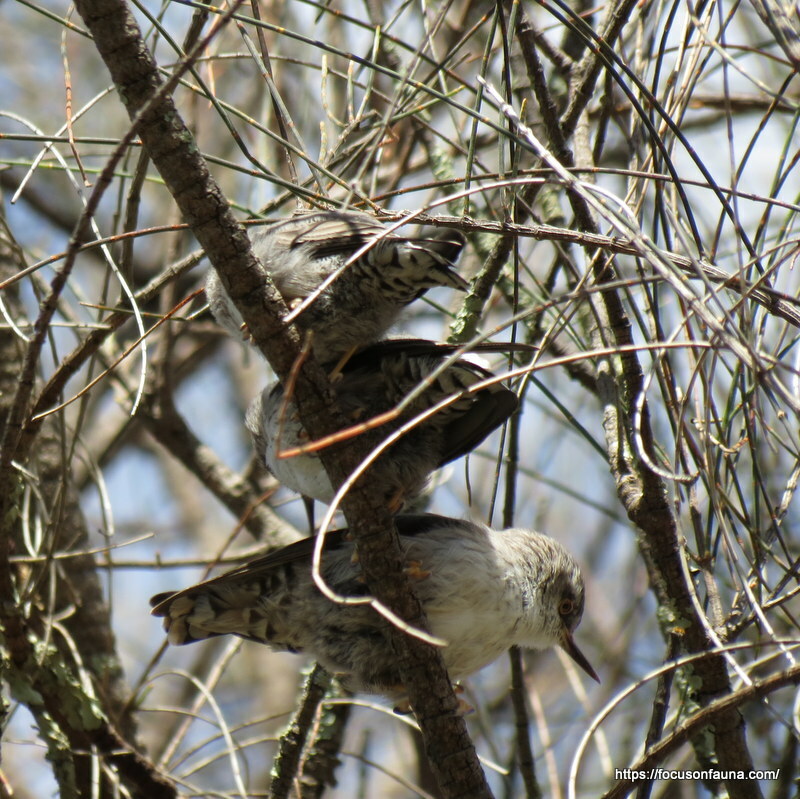 The other species that appeared the other day among a mixed flock of thornbills, Weebills and Grey Fantails, was a small group of Varied Sittellas which included a couple of juvenile birds (see left) that were still being fed by an adult. 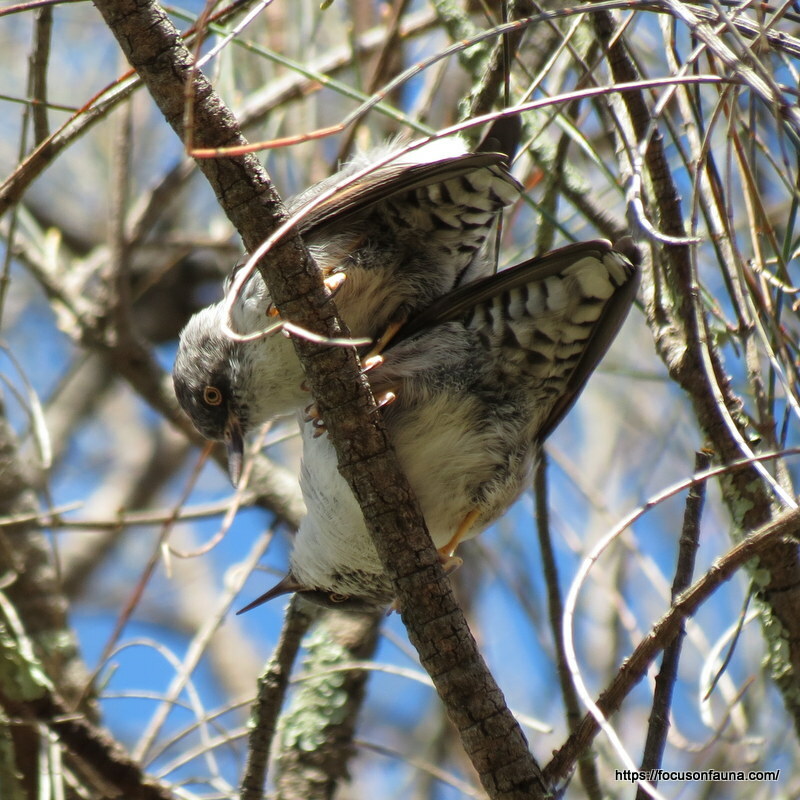 The sittellas are rather odd little birds, adept at busily foraging among tree branches and head-first down tree trunks. They have sharp slightly upturned bills ideal for prising out grubs, beetles, spiders etc. When feeding they seem to be perpetually on the move, but when they do rest, they often huddle together with a lot of jostling for best position. So, perhaps unobtrusive, but it’s always a delight to spot either of these two species!